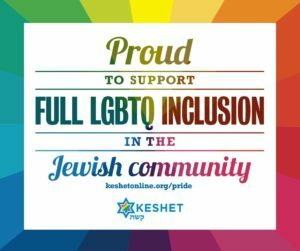 What is the value in belonging to a Jewish community? The value is in the values. Anyone can teach a child to read Hebrew, and if that is too difficult there is always transliteration. But only a Jewish community can instill Jewish values: the values that will prepare a child for life in today’s “truthiness” society. As I listened to this year’s 12th grade students speak about their Jewish education during their graduation ceremony, I was struck by how they focused on two things that they are taking with them as they head off to college: their connection to their Jewish community and their connection to Jewish values. For those of you who are part of the Rodeph Torah community, I hope you take pride in the values we are instilling in the next generation. And if you are looking for a community which will welcome your children (and you), I hope you will come learn more about us. Reading from the Torah is a wonderful skill, but embracing the timeless values Torah teaches will change our children’s lives!